Sometimes I play music in bands. Tonight I played with a band called Bermuda Triangle at the Rod and Gun Club in Williamsburg. Ben Church Smith is a very talented songwriter and I wish he would play more. 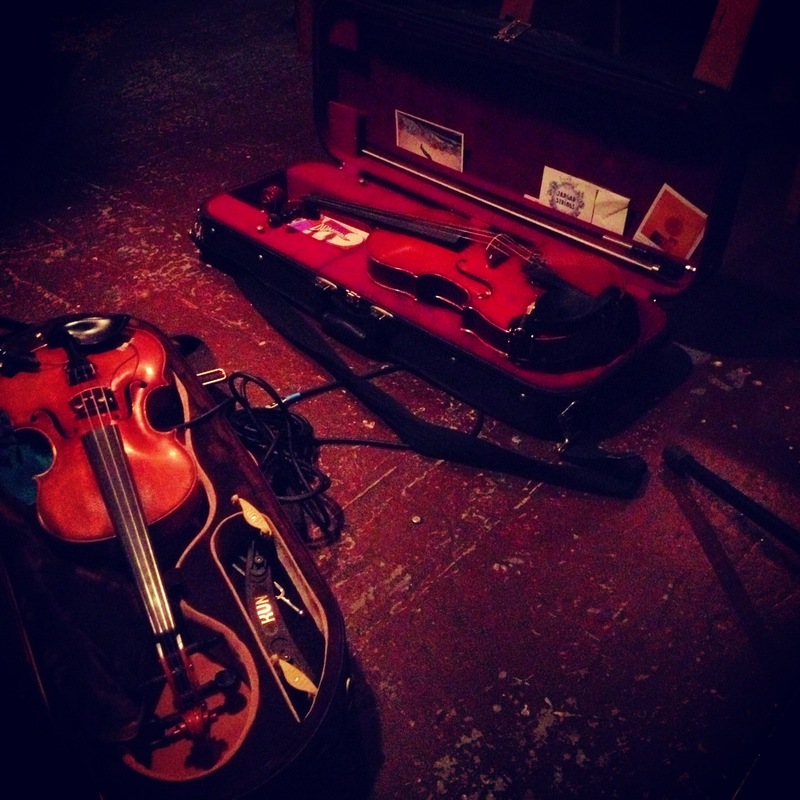 I loved how my viola became pals with Rebecca’s violin, they sounded so nice together. I just purchased these two fonts and I’m going to use them in an invitation. I typed out this quote to see an example of how they looked together. And then I got to thinking about it. When I was in 7th grade, Mrs. DeFelice wrote this on the board. I have a horrid memory and I’m shocked that, to this day, I remember it verbatim. I even remember writing it down in the back of my day planner as if it were some reminder on how to behave. I know this was written as an exercise in financial frugality (and maybe it’s my New England upbringing) but these words has somehow followed me around to this day, in the forefront of every decision I’ve made. I often felt guilty for enjoying myself, as if it were to set in motion a series of unpleasant events. I practiced restraint on the most base of levels. I made “smart” decisions and followed cerebral paths. Because if I did, I wouldn’t have deal with any collateral damage brought on by using my heart or following a feeling. For the last few years, going back to about 2008, I consciously practiced a different exercise. I’ve stopped holding back, started encouraging desire, if you will. I treat every opportunity as a opportunity to treat myself and I love the opportunity to celebrate a moment. I’ve gotten more joy out of every day since then. I left a passionless professional field that I thought made me appear “smart, worldly and put together” (International Education) and entered a world based on something I love that thrives on beauty, vision and tradition (Paper Arts). I am proud to have cultivated a beautiful life and I’m grateful for this quote as a reminder that, from time to time, the first action sets in motion all that follows – and sometimes that’s a positive thing. Sometimes the desires that follow are paying homage to the first heartfelt decision one can make.